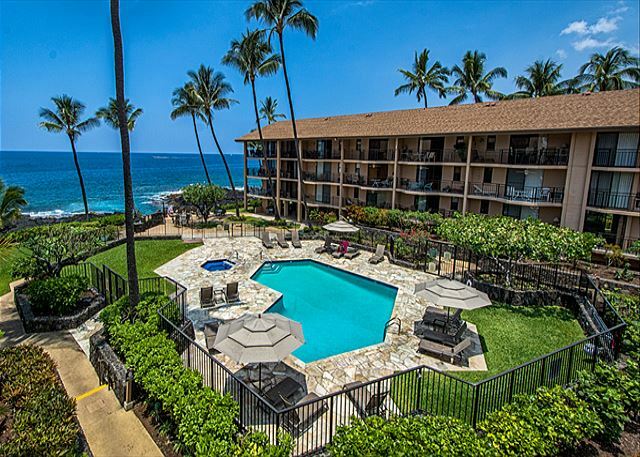 Enjoy this 2 bedroom with a loft at the Kona Makai. This unit is well appointed with everything you might need. Ocean Front Almost! Fabulous Top Floor Unit! Totally remodeled custom mango cabinetry throughout and granite counter tops! Casa De Emdeko at its finest. Two bedroom, two bath fully furnished unit. 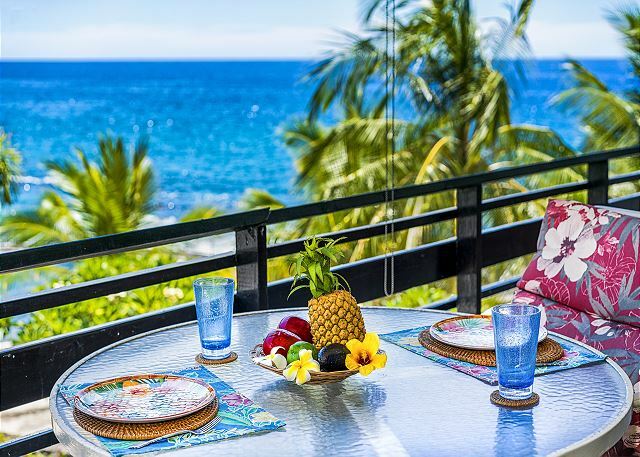 Spectacular Oceanfront Location, watch surfers & dolphins fright from your own ocean front lanai.